ASSISTED SLIPPER CLUTCH: Superbikes can deliver a great deal of back-torque through the driveline, upsetting handling—not the CBR1000RR models. 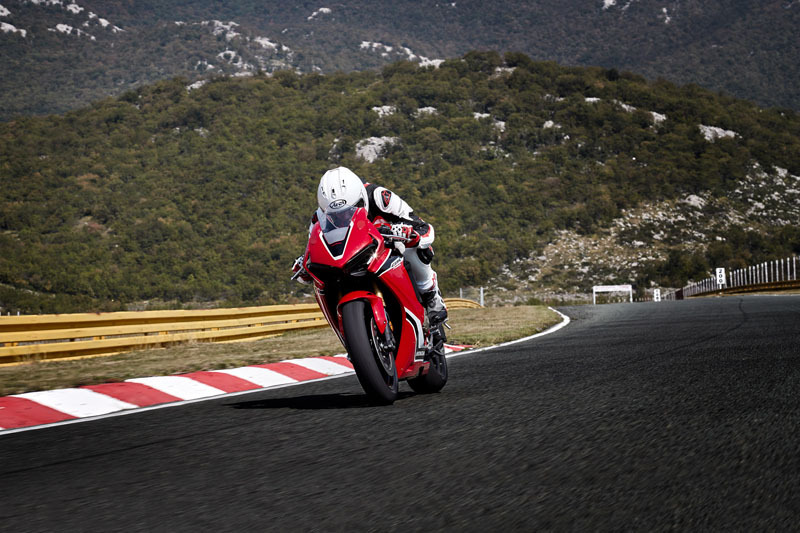 Its Honda-designed assisted slipper clutch is the same type used on our MotoGP bikes. The design does away with the need for heavy clutch springs, ensuring full power transmission with smooth shifting and a light clutch pull at the lever. EFFICIENT RADIATOR DESIGN: Almost an inch narrower than on our previous-generation CBR1000RR, and featuring a high-density core. Plus the radiator tucks in tighter and cools just as efficiently. FULL LED LIGHTING PACKAGE: Headlights, tail lights, turn signals—with the CBR1000RRs it’s all done with lightweight, efficient, cool LEDs. THIN FILM TRANSFER DISPLAY: Headlights, tail lights, turn signals—with the CBR1000RRs it’s all done with lightweight, efficient, cool LEDs. SLIMMER ERGONOMICS: These CBR1000RRs are much slimmer than previous models in the tank/seat junction area, and also in the upper cowl (more than 24mm trimmer). This improves aerodynamics, and the narrow tank makes it easier to tuck in. 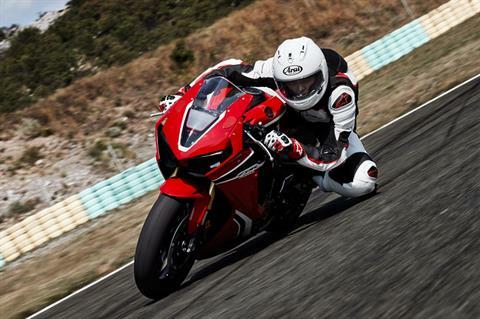 LIGHTWEIGHT SUB-FRAME: Almost a full pound lighter than our previous generation, the CBR1000RR sub-frame further refines our mass centralization efforts. Light is always right, and these models are the lightest CBR1000RRs we’ve ever produced. 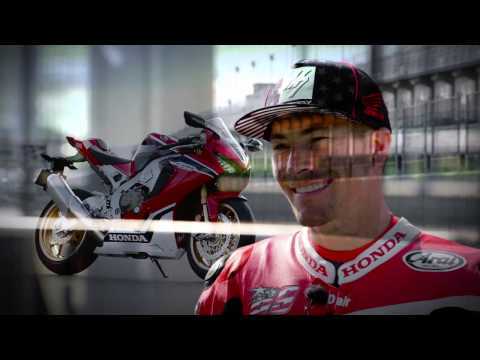 HONDA SELECTABLE TORQUE CONTROL: With Honda Selectable Torque Control (HSTC), we’ve got your back, but you’re in control. Here’s how it works: The system automatically adjusts engine power and grip to optimize torque at the rear wheel, reducing rear-wheel slip. You get your choice of five power curves, ten torque-control levels, three engine-braking levels, and now three selectable levels of wheelie control so it’s easier than ever to dial your bike in at the track. 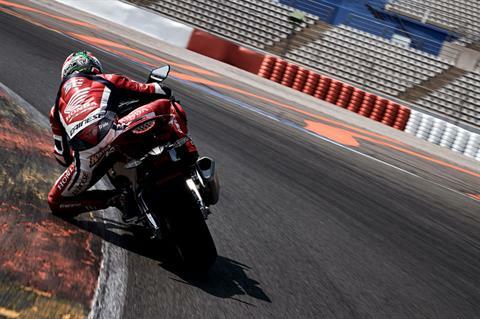 THROTTLE BY WIRE: The CBR1000RR's throttle-by-wire system works in concert with our Honda Selectable Torque Control. With the two, you get your choice of three engine power-delivery modes, plus two which you can custom program yourself. 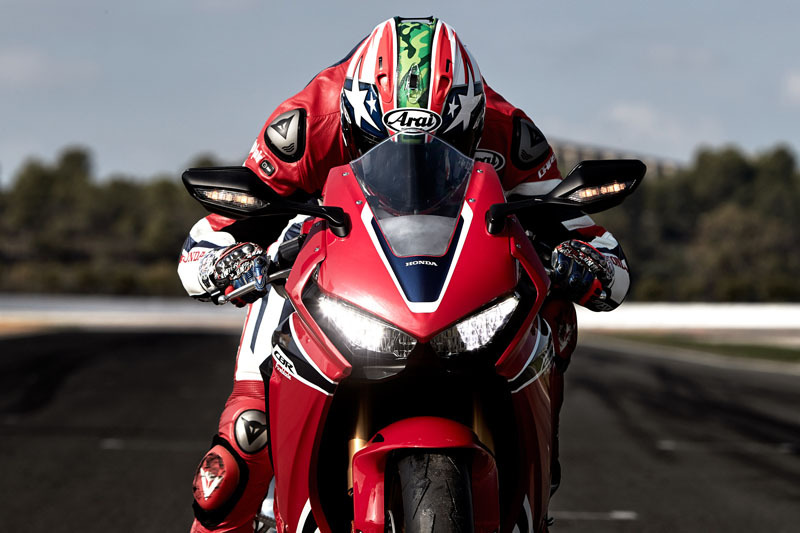 HI-PERFORMANCE FOUR-CYLINDER ENGINE: Featuring high-compression 13:1 pistons, the CBR1000RR revs like only a flat-plane inline-four can. It also makes ten horsepower more than our previous generation of CBR10000RR. 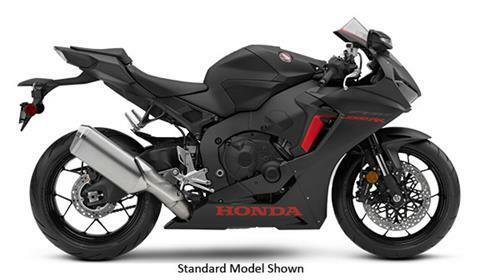 DUAL-STAGE FUEL INJECTION: The CBR1000RRs feature two sets of injectors per cylinder for both low- and high-rpm performance, instantaneous high-rpm response and great low-rpm metering and clean running. Refined EFI settings make the engine even more manageable, with smoother throttle response specifically at smaller throttle openings.